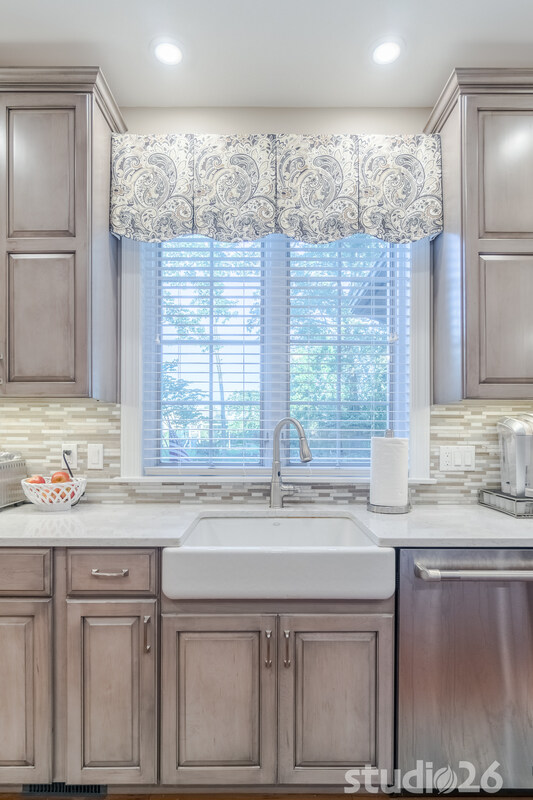 Upon searching for the perfect existing home for quite a while, it became ever more clear to our clients that perhaps the best avenue to pursue might be to choose an existing home first and foremost with ‘good bones’ in a great neighborhood and in an ideal location. 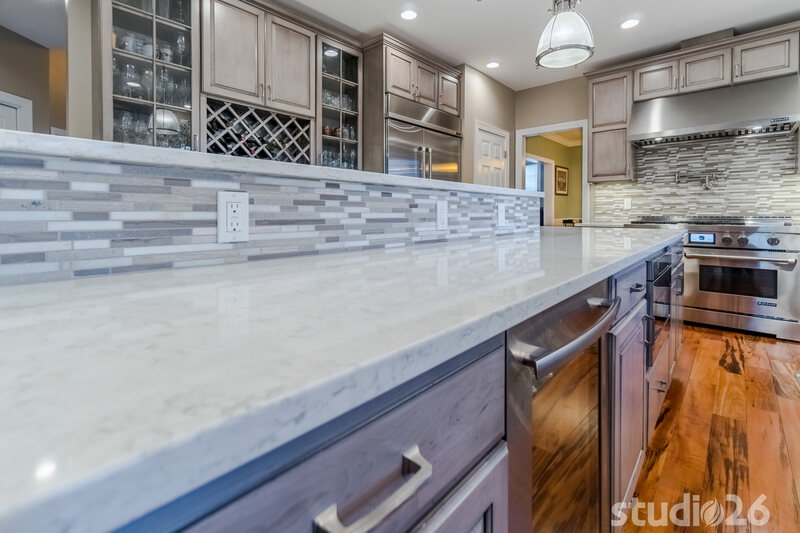 Finding that elusive home that was already updated with the size and style desired was just not out there, and so our firm was brought into the picture to help them realize their dreams. 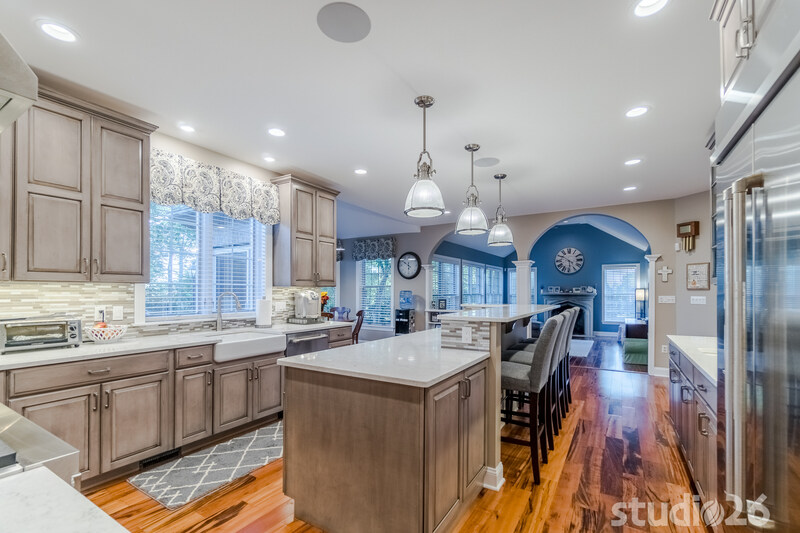 We are very thankful to have been chosen to help these cherished clients reimagine a formerly dated existing home, and provide them ultimately with their family’s dream home! 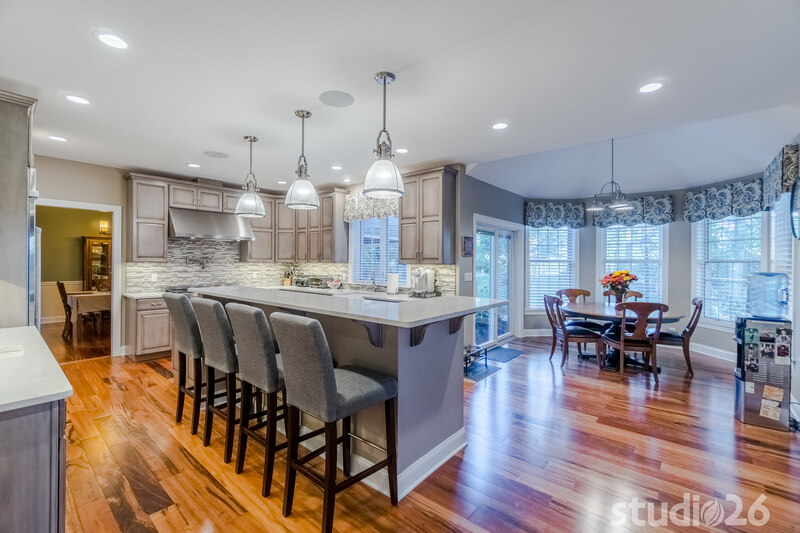 This very extensive project had our firm ‘touching’ almost the entire home on all three floors in some fashion – everything from new flooring and painting to complete new spaces and rooms throughout the home. 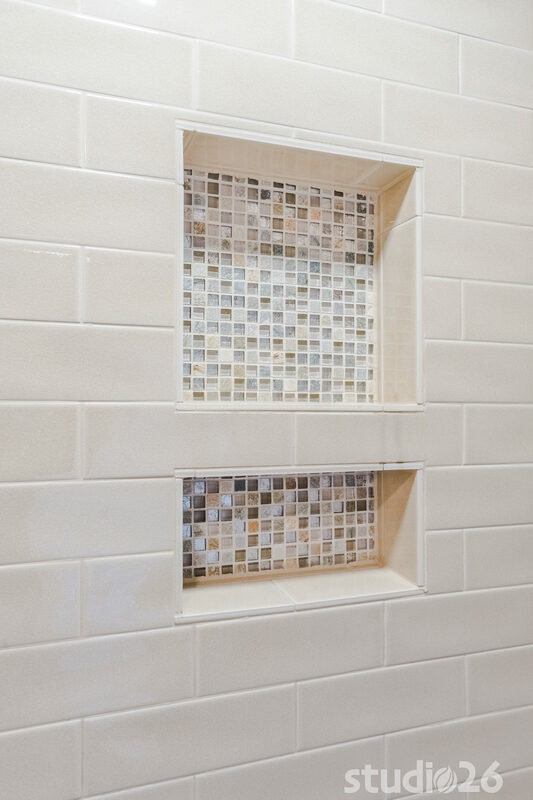 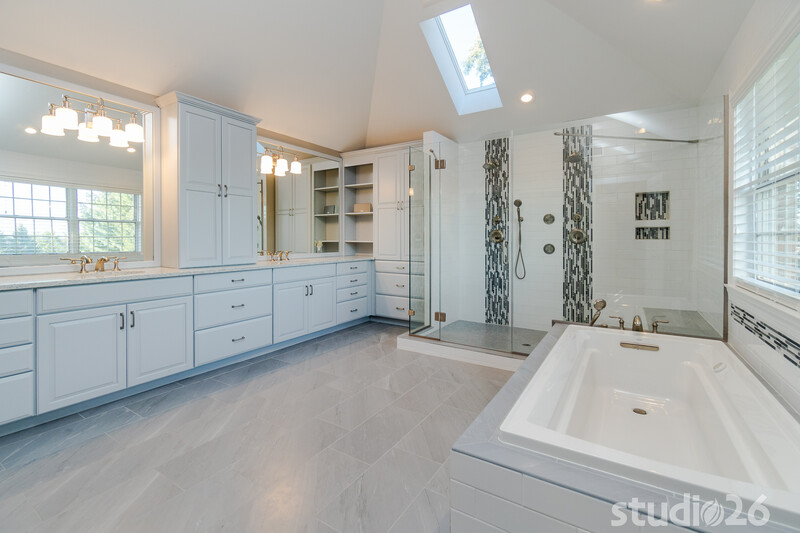 On the second floor, our firm helped re-envision the master bathroom – one with a more open feeling and a comfortable modern aesthetic throughout. 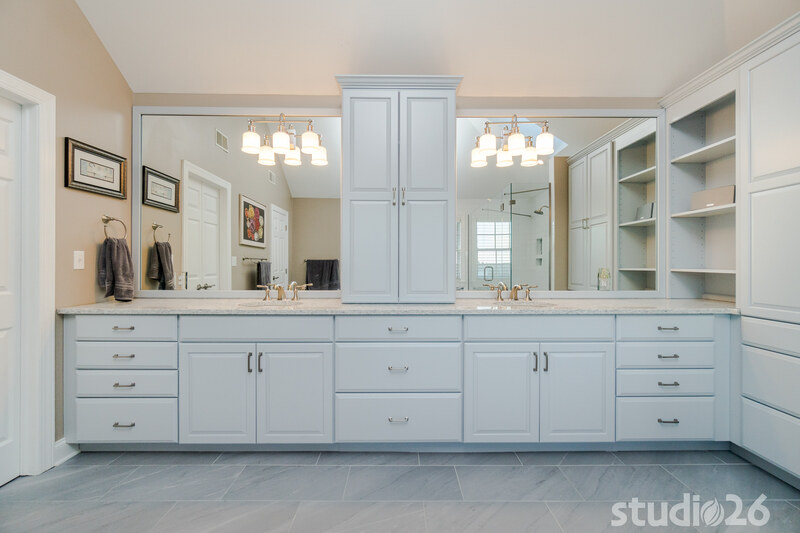 In addition to providing more storage, the new master bath brings forth a much more luxurious and relaxing experience for our homeowners. 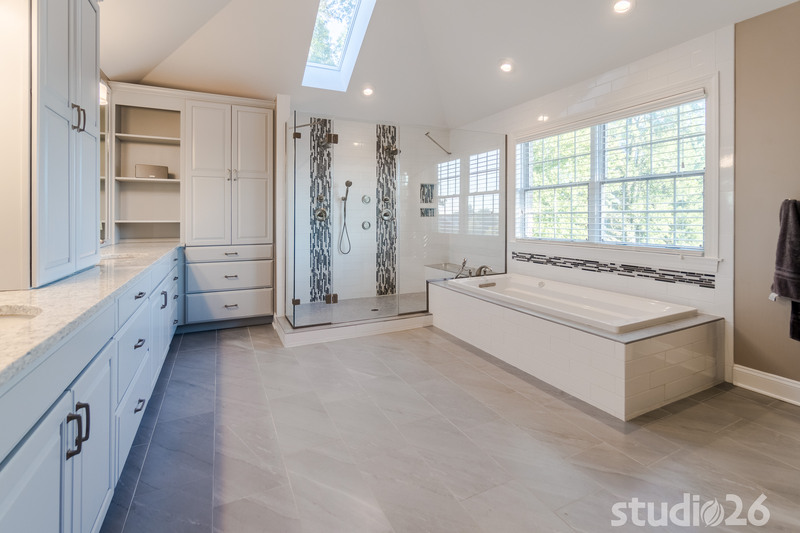 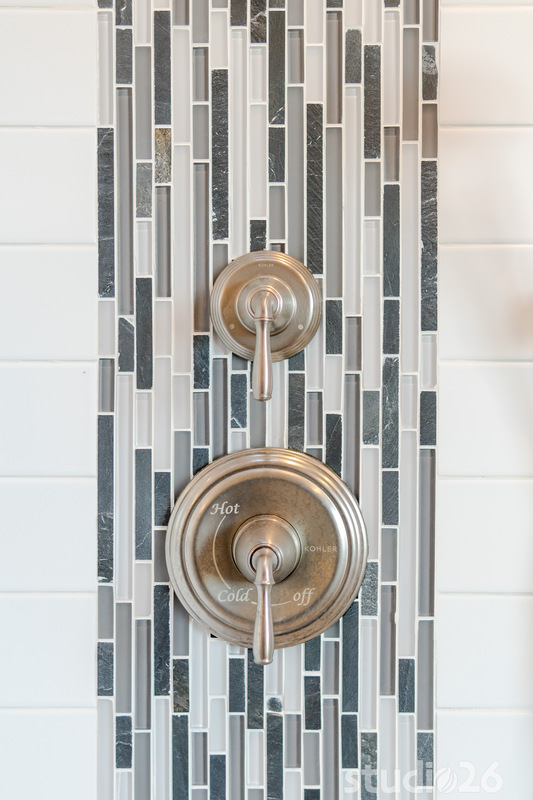 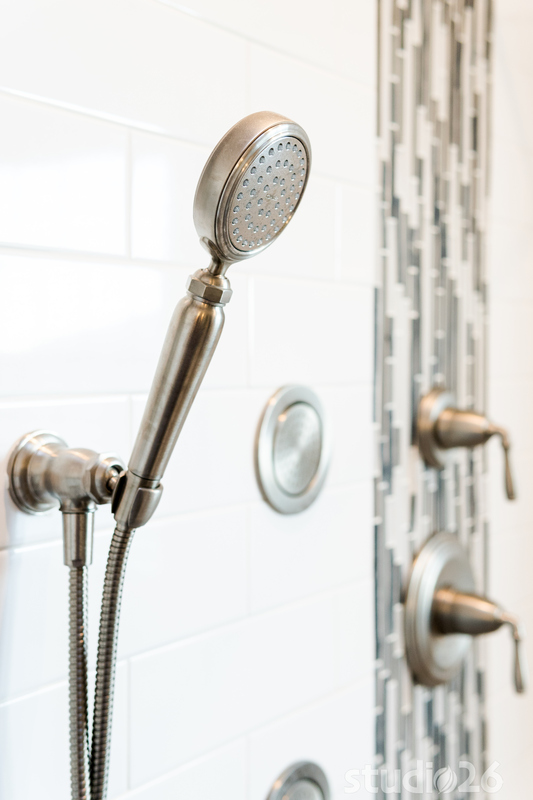 Whether lying comfortably in the soaking tub or standing in the large his and her shower with its wall-mounted jets and dual rainshower heads, this master bath retreat is sure to rejuvenate our clients after a hard day’s work. 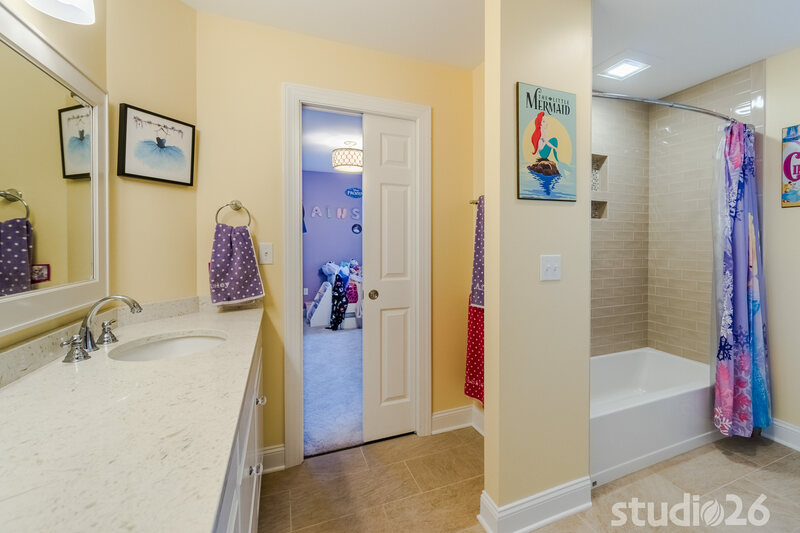 Also on the second floor, in addition to new carpeting and painting throughout, we redesigned the former hall bath to be a Jack-n-Jill bathroom accessible only from both of the daughter’s bedrooms, and also provided a brand new walk-in closet for the one bedroom that did not previously house one. 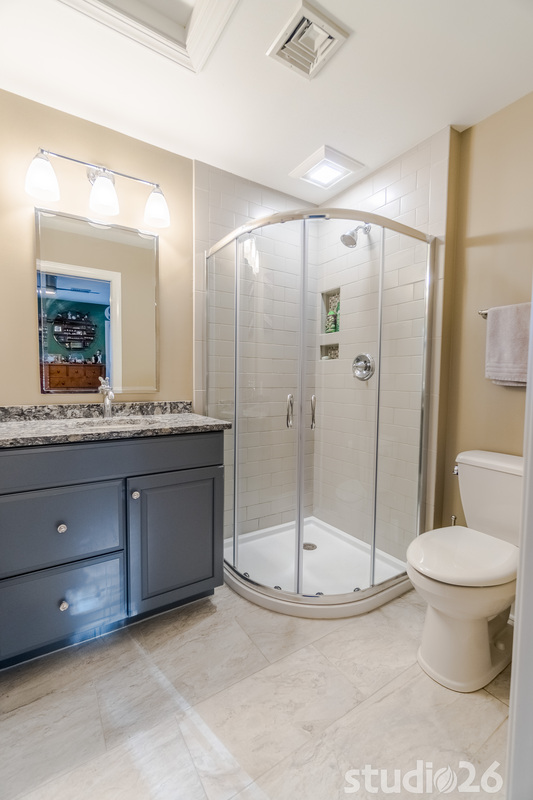 And in the fourth second floor bedroom, we found a creative way to design and build an additional bathroom to create an independent en-suite for their son. 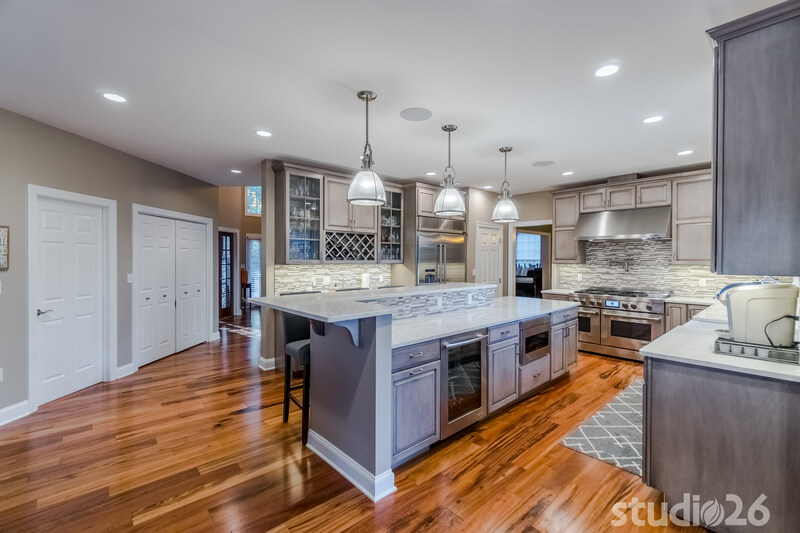 On the first floor, we installed new tigerwood hardwood flooring to help anchor the brand new kitchen and better tie-in all of the adjacent spaces. 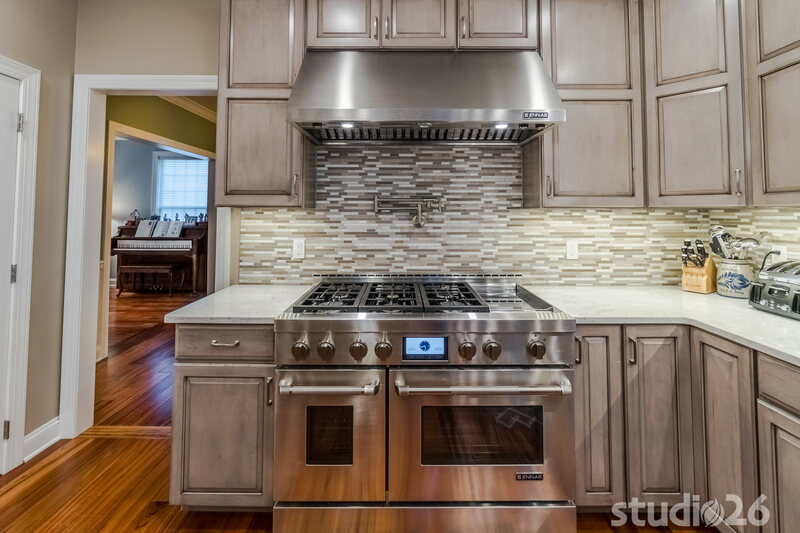 While the original kitchen was dated, perhaps its biggest drawback was the fact that it was a little too tight in a few critical areas. 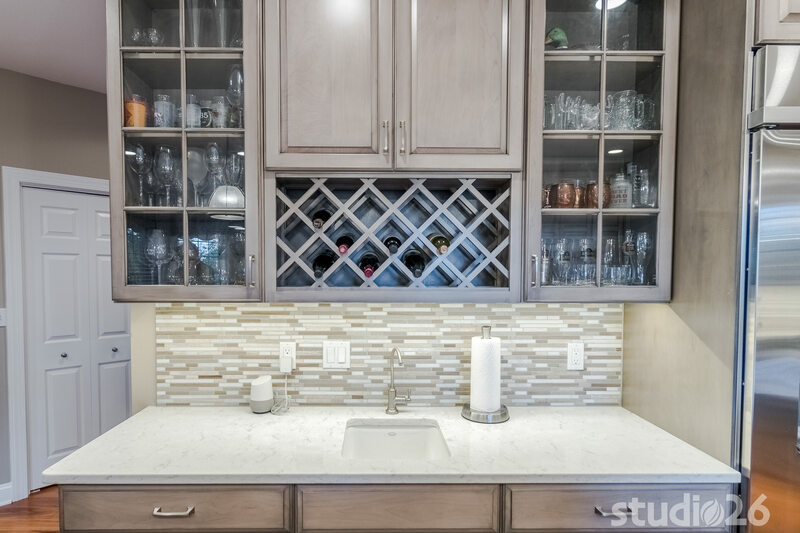 So we were able to remove a couple of walls, simplify, and also modernize the design with new cabinetry, countertops, tile backsplash, lighting, and appliances to create a much more elegant and more functional kitchen to better fit the needs of our clients. 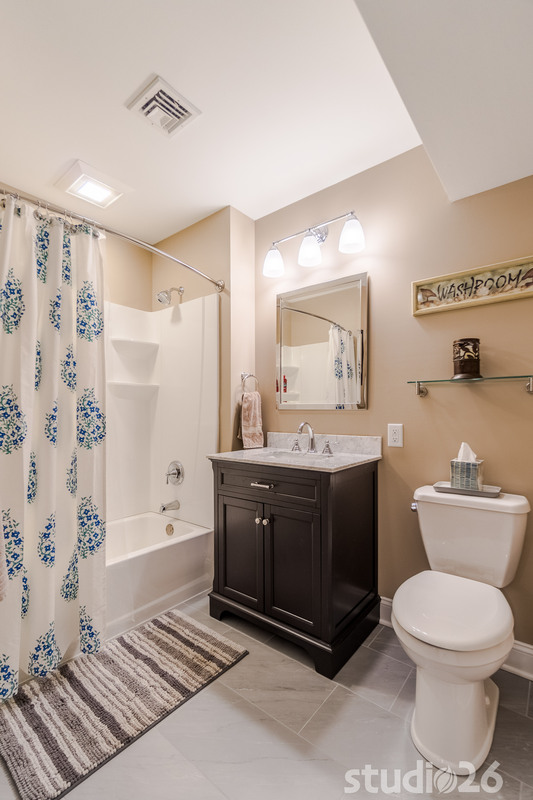 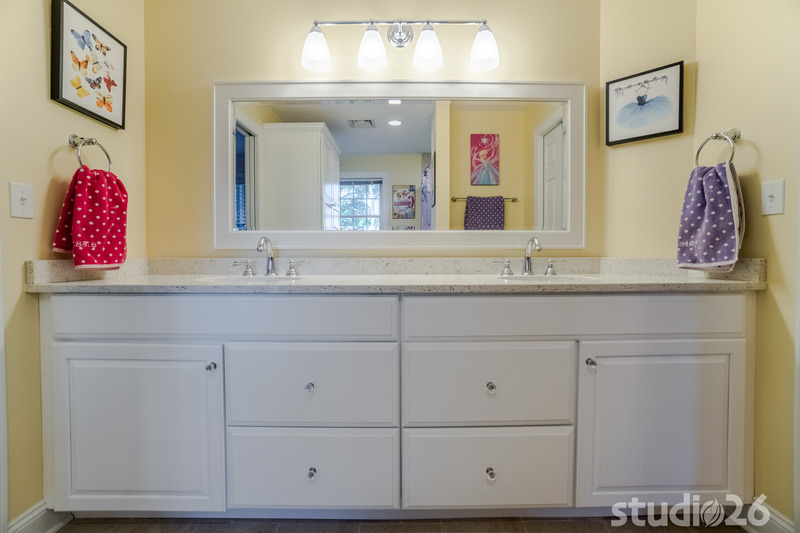 Lastly, on the first floor, we renovated the powder room, and also remodeled the mud room to provide a much needed locker system for the entire family of five. 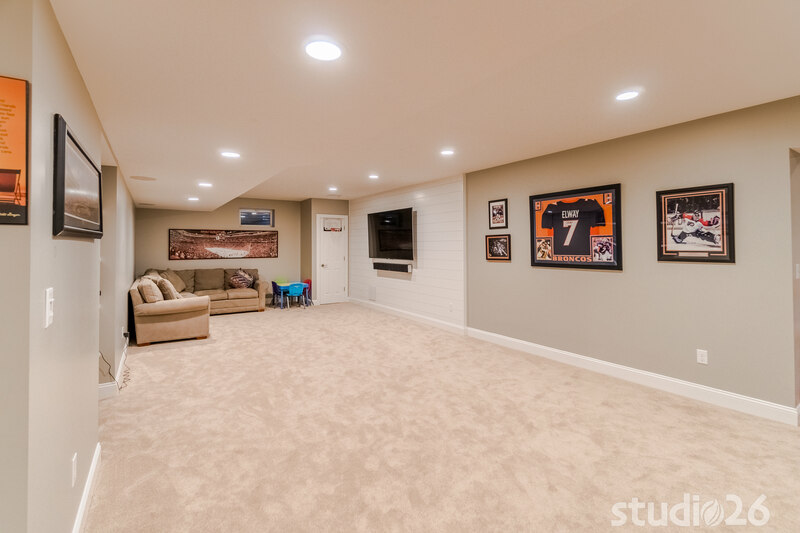 In the basement, our firm designed and crafted a few new spaces the family desperately needed. 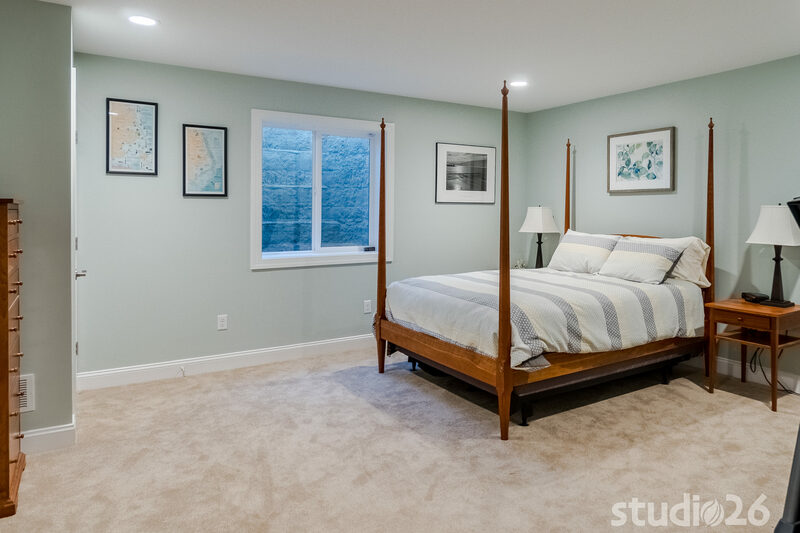 With out-of-town family visiting on a fairly regular basis, it was important for us to provide a fifth bedroom (note the new egress window and stone-look window well) in the house as a desirable oasis for their guests to call home while visiting. 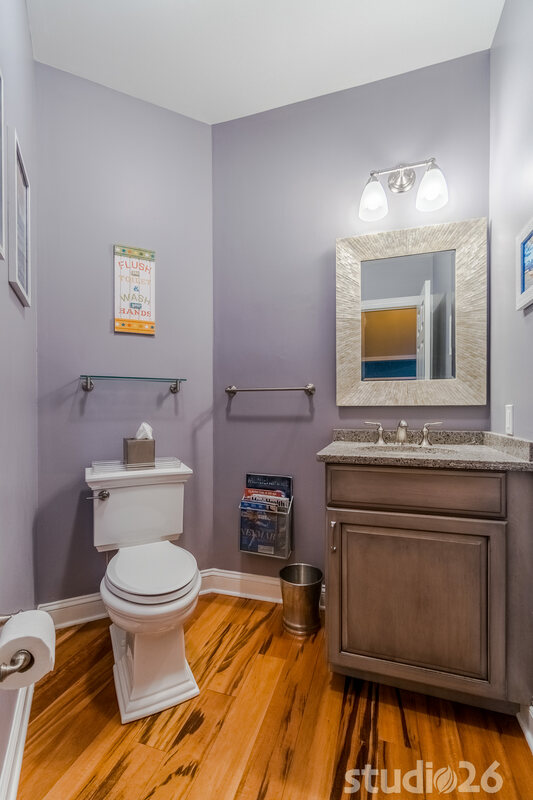 Accompanying the bedroom is a new fourth full bathroom that also serves the rest of the basement as a powder room. 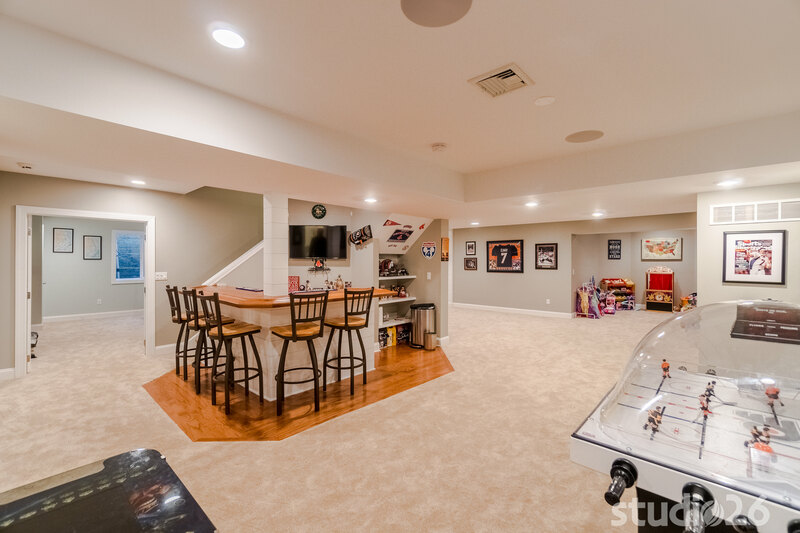 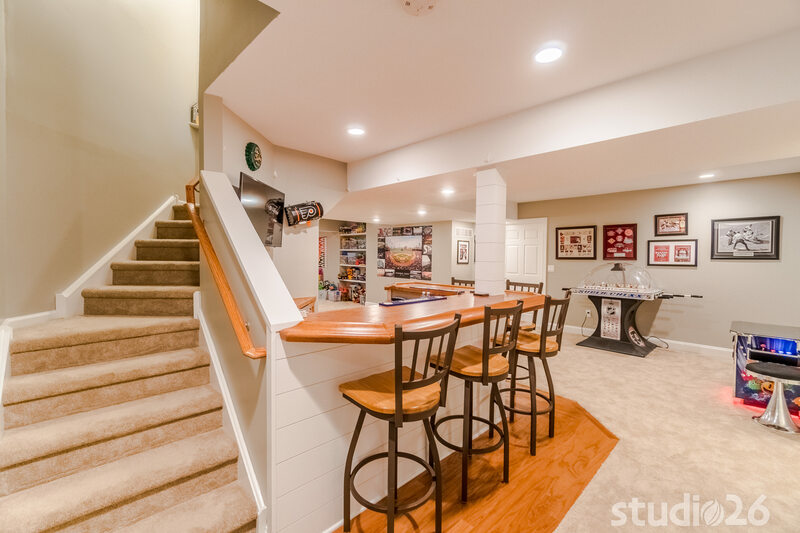 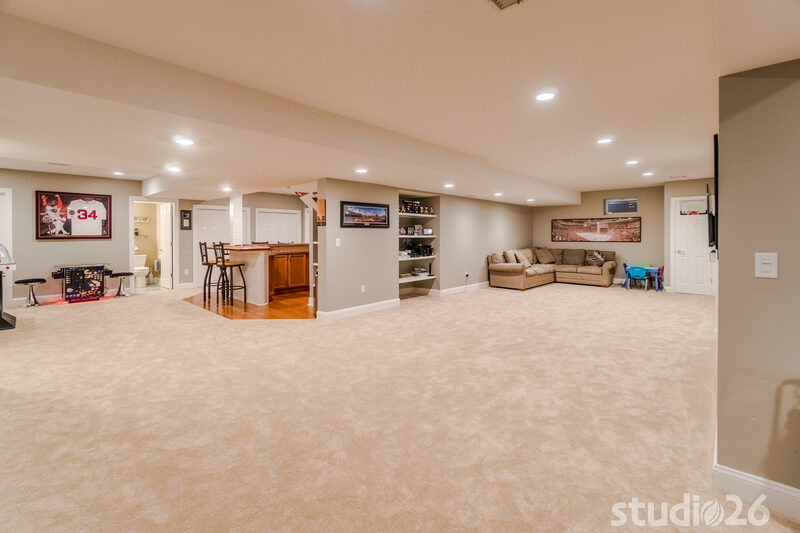 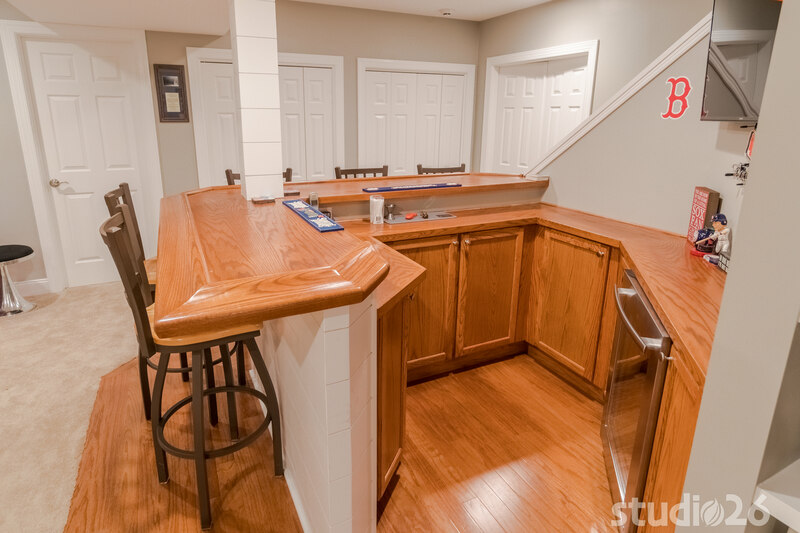 And last but not least, our clients also desired a separate fun space for their three children to call their own as well as a second great room and a new bar area to entertain family and friends – a place where many, many good times lie ahead!